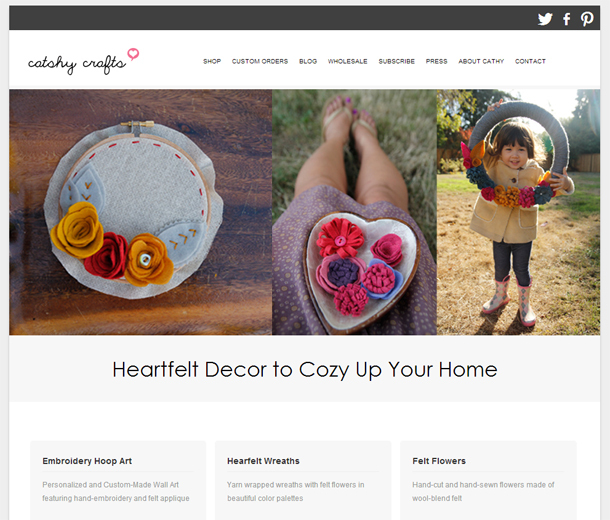 I am happy to announce that Catshy Crafts has its very own website! It's been a long time coming. Something I've wanted for a while, but didn't take action on until a few weeks ago. Yes, in the midst of my last giveaway and preparing for my summer vacation and finishing a big custom order, I decided to create a website! Wanna peek? 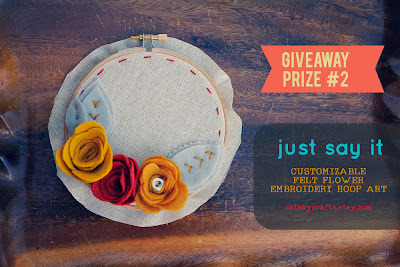 Head on over to CatshyCrafts.com! 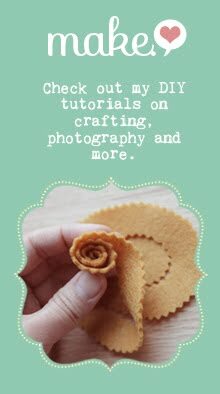 The new site has everything you need to know about Catshy Crafts - from links to my Shop, my Blog, how to start a Custom Order, how to Subscribe to my mailing list, my Press mentions and more. It will be my place to share photos of all my creations in one spot. It be another creative outlet for me, where I can design and play. As you may know, I used to LOVE digital scrapbooking and still love Photoshop, so taking a stab at web design has been a fun experience! I'm learning Wordpress as I go. (Wordpress.com - not to be confused with Wordpress.org - is what I used to build my website). So far I'm keeping it pretty simple, not straying to far from the Wordpress theme, but I did design a new logo! What do you think? You can also see my little favicon on your tabs. It matches the one from my blog, but is now a rosy color. 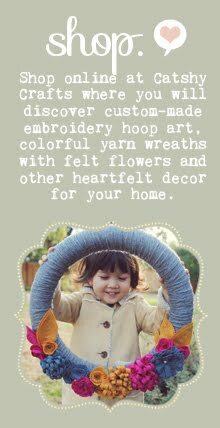 If you have any questions about my new site (from how I set it up to a specific question about a hoop or wreath you see in a photo), leave me a comment and I'll answer it for you. If it's something I can't answer is a few sentences, I may even write a blog post about it! And if *you* just created a new website for yourself, I'd love to see it! Post a link so everyone can see! 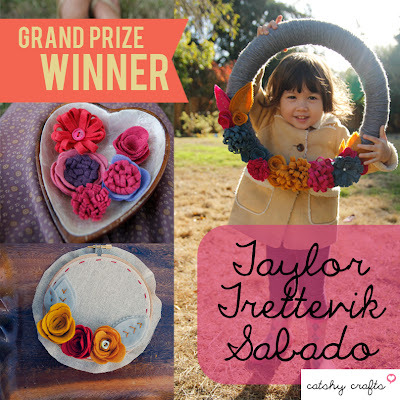 My very first Rafflecopter is coming to a close It was a good run with 133 contest entries and 58 new Facebook Likes on the Catshy Crafts Facebook Page over 2 weeks time. The page was hopping with activity with new fans and old. The first name picked (by random.org) is.......Lisa Page! Congrats Lisa! 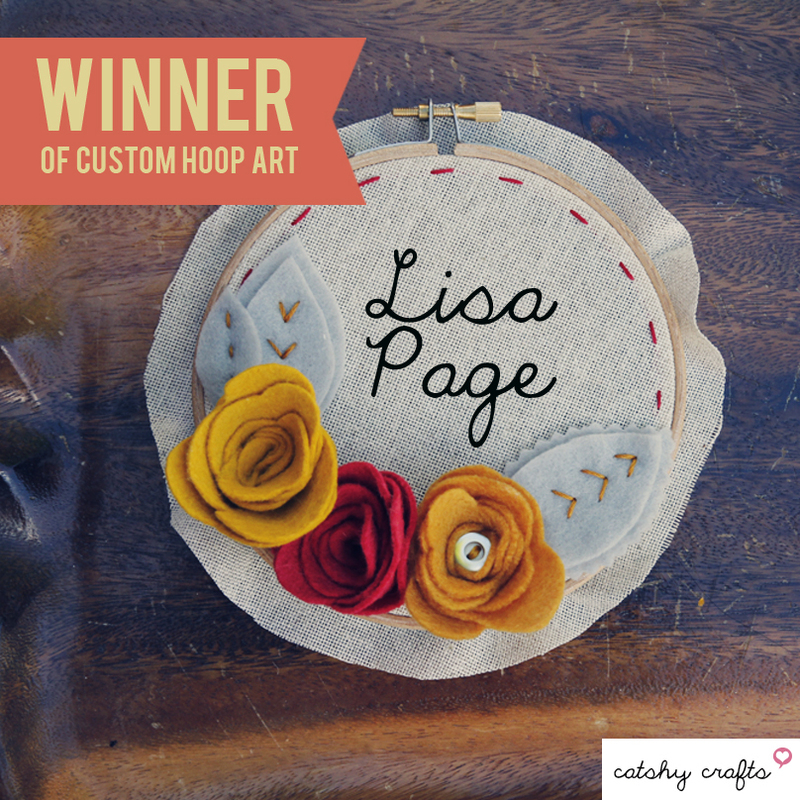 She won a 5-inch custom hoop art with felt flowers and leaves. The name or monogram to be embroidered will be up to her. Can't wait to see what she chooses. 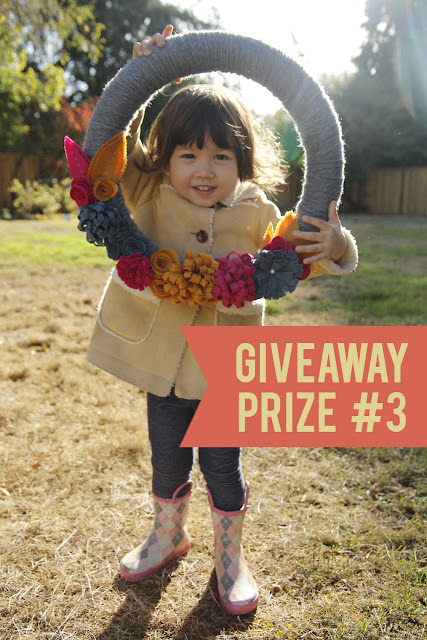 And now for the Grand Prize Winner who takes home a set of felt flowers, a 5-inch custom hoop are with felt flowers and leaves and a 12-inch wreath wrapped in yarn and decorated with felt flowers (a $125 value)! The winner (chosen by random.org) is....... Taylor! 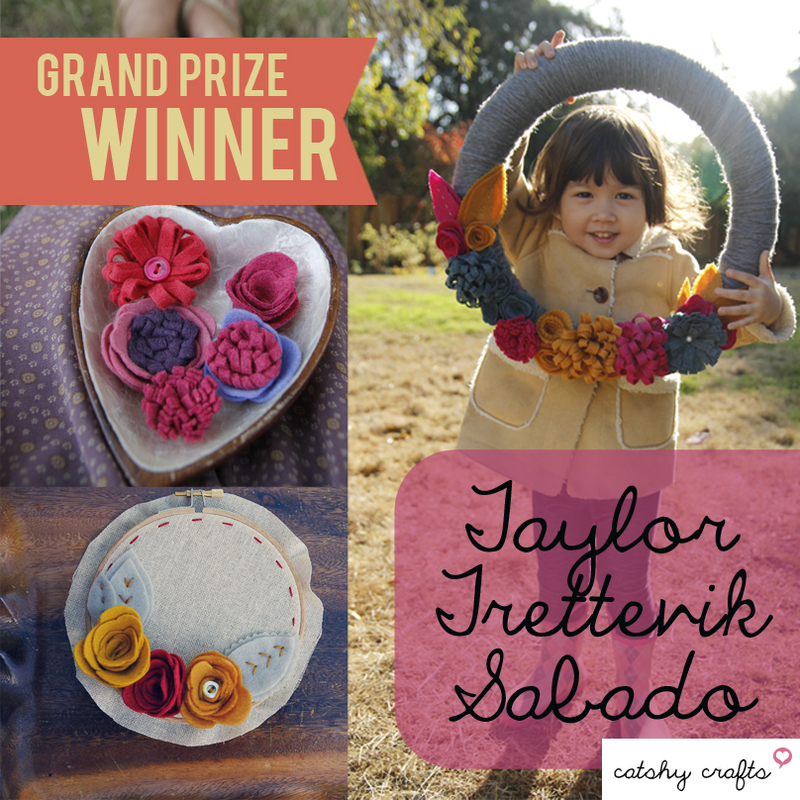 Because Taylor is local - and actually is a friend of mine -- I will invite her over so she can choose some felt colors in person! That will be a fun day! Congratulations again to Lisa and Taylor! 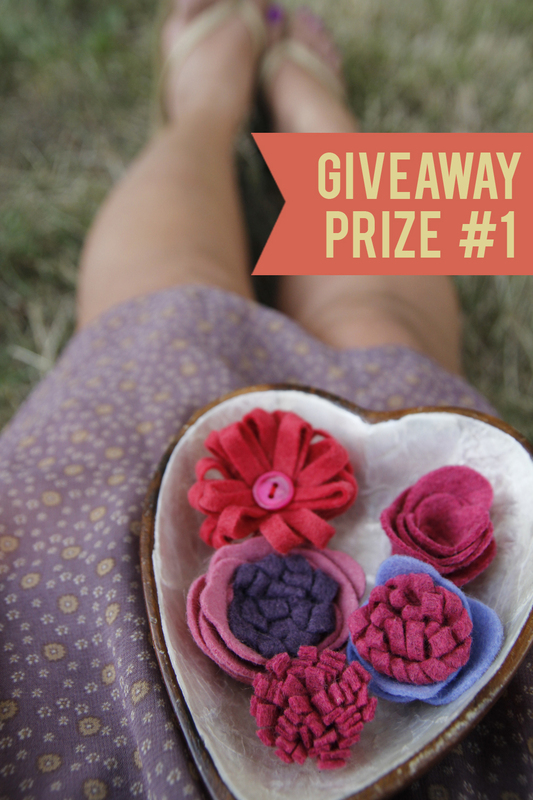 I will be e-mailing each entrant to say thanks and give them a coupon for the shop. The exact discount will be a surprise! Thanks again for playing along. And don't worry, this won't be the last giveaway. It's just the beginning. We did it! 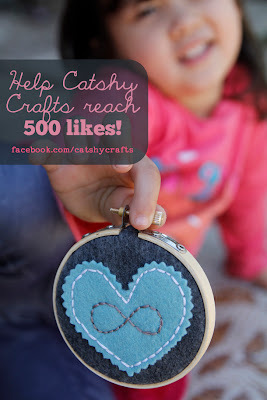 Thanks to my friends on Facebook, my Catshy Crafts Facebook Page has over 500 Likes! As promised, I'm hosting a giveaway (via Rafflecopter) to win this fabulous set of prizes valued at over $125! Scroll down to the bottom of this post to enter. But first, here's a closer look at the prizes up for grabs! A Coupon Code for You! I am also offering a special coupon code to say thanks to EVERYONE for supporting Catshy Crafts! 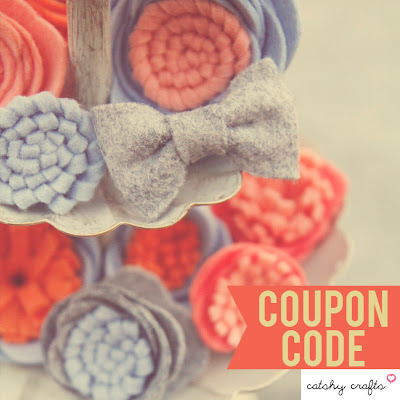 A coupon code for 15% off you next order! Please use coupon code 500likes15 when you check out. Coupon expires 8/21/2013. Please note: Because of the hand-made and custom-made nature of these prizes, it may take up to 4 weeks to receive your prizes. So those are the details! Remember to visit my shop and let me know what your favorite item is! 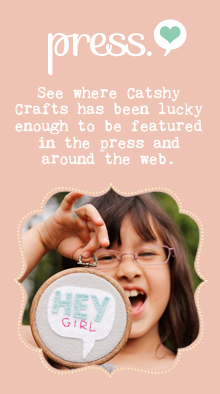 Thanks so much for supporting Catshy Crafts! 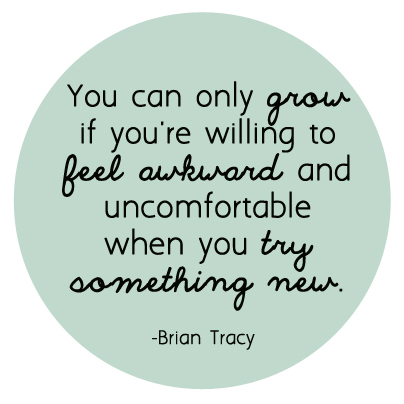 I often have no problem feeling awkward and uncomfortable on a daily basis. But that's just me. Ha! 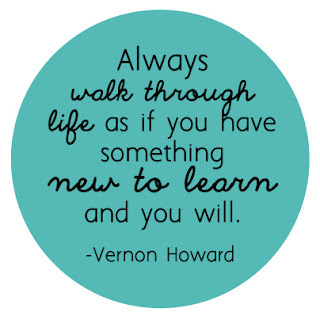 But I do have a some new opportunities coming up that will make me even more awkward and uncomfortable. Yay for growth! Yay for new things! In between quick trips to the beach, park and farmers market or hanging out in my backyard, I've been very busy in my studio. 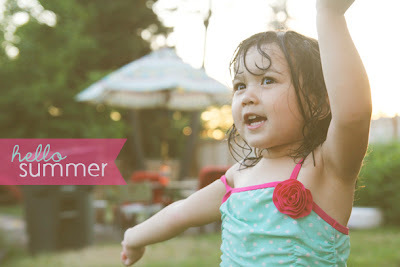 With my youngest going to day camp for the first time, I was suddenly blessed with big chunks of time during the day. So, I've been pretty productive - filling orders and working behind the scenes to promote my little handmade business. Would you like to see a peek at what I've been working on? Here are a few things I've made in the past few weeks which will find their way to the shop really soon. If you see something you want, let me know! 1. "Yay" banner hoop. This 4-inch hoop can be customized with any short message or name! Oh the possibilities! 2. Rainbow bouquet baby name sign. A custom hoop with a rainbow of flowers and the name of baby and birthdate hand-embroidered. What a great baby gift! 4. 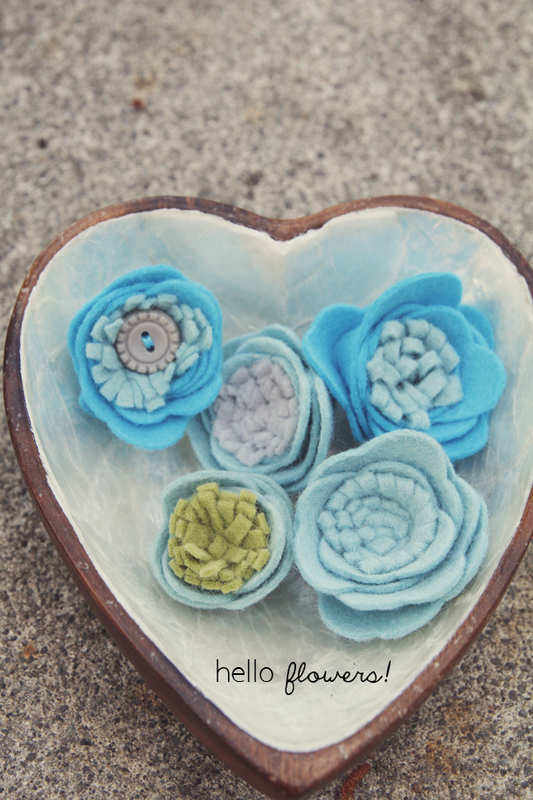 Felt flower pin. A felt flower with a pin sewn on the back. 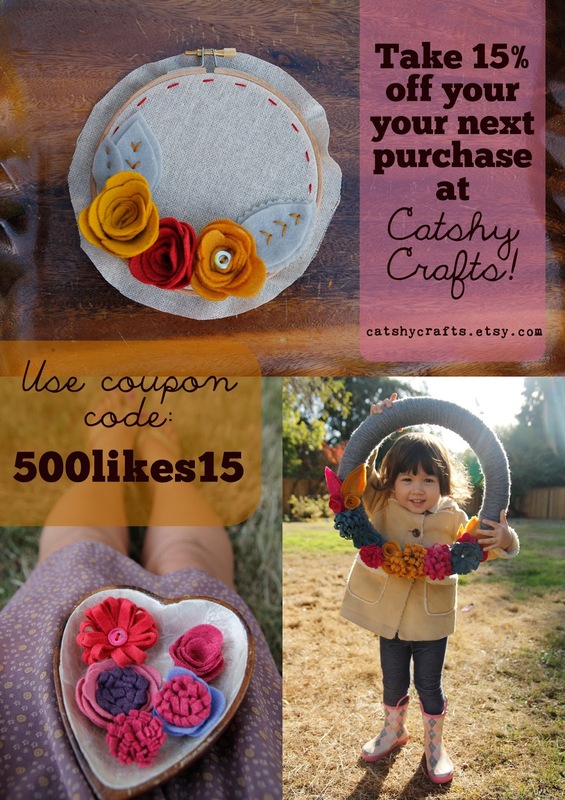 This felt bloom is now easy to attach to a card, a shirt, purse or a fabric headband. 5. Flower cards. This bud's for you! 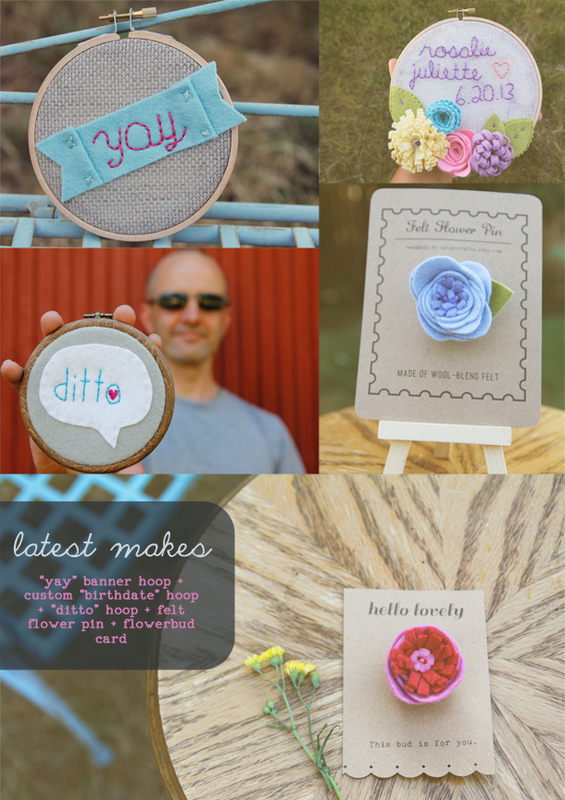 These could be customized with any message - for party favors, gift tags or just because gifts. p.s I'm trying to reach 500 likes on my Facebook Page by September. Totally do-able, right? I'll be having a giveaway when I reach 500, so I hope you will visit Catshy Crafts' Facebook page and LIKE it if you like what you see :) And if you really want to help, please share my page on your Facebook page, blog, Twitter, Instagram or social medium of your choice. Thanks so much! 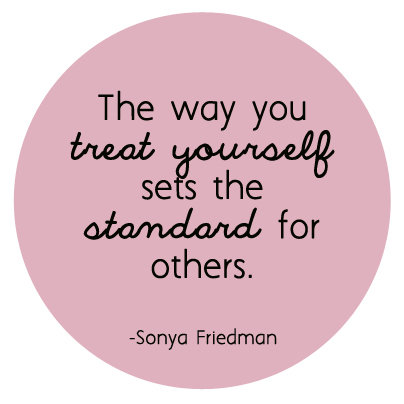 I found this quote when I was feeling a bit down on myself a few weeks ago. 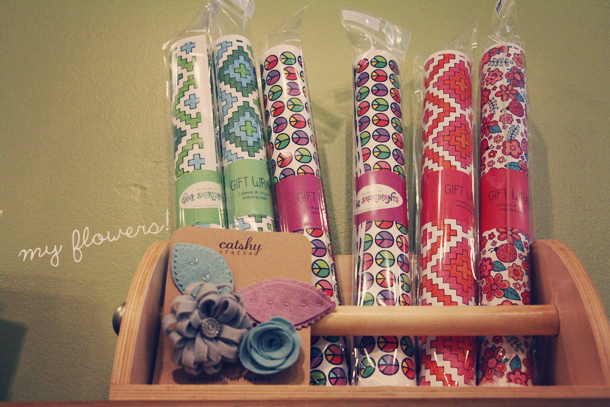 Catshy Crafts Now Sold in Stores....So, There! I'm so excited to share this bit of good news with you! 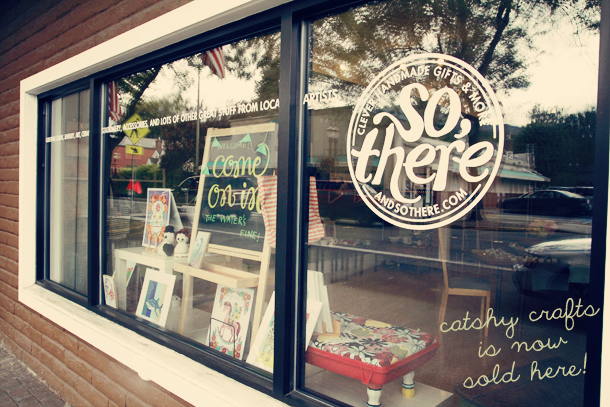 Catshy Crafts is now being sold in a brick and mortar shop! Yup, I've gone retail! I had heard about a new shop that was opening from the wonderful Marlo at the Studio of Awesome Pop-Up of Awesome several weeks ago. It turns out that the owner, Alison, saw my stuff at this show and contacted me. I met with her a few weeks later - I kinda had to psyche myself up to meet her - my shyness getting the best of me. But I did. Alison was super-nice and made the process easy as pie. 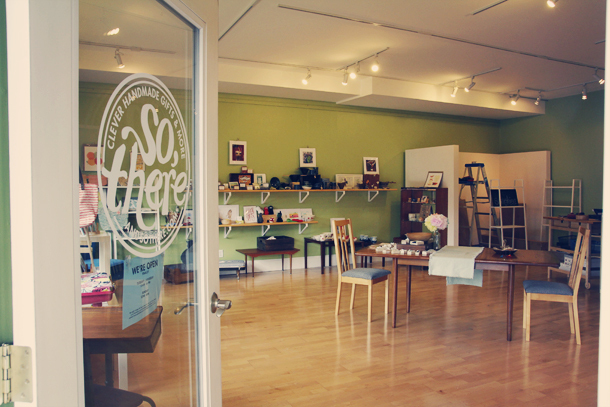 I also loved her cute shop with hardwood floors, bright open windows and mid-century furnishings. Located in historic downtown Issaquah, So There sells "clever handmade gifts" from local artists. 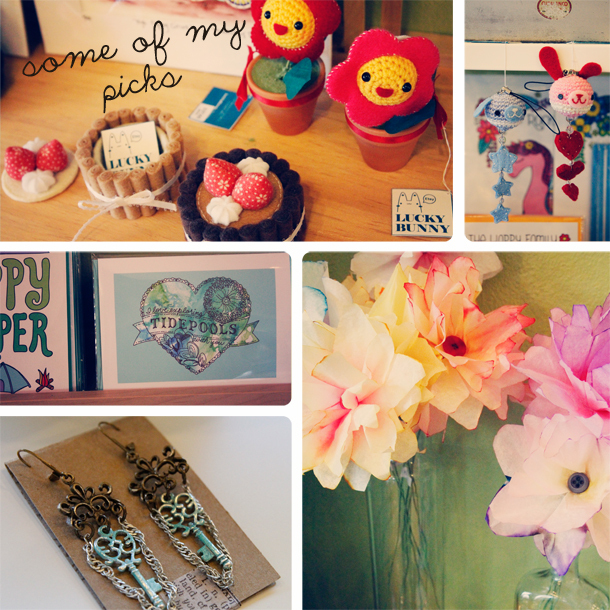 It reminded me a lot of Portland's Crafty Wonderland, which I visited last year.. So much eye candy and wonderful hand-made items - from cards to jewelry to home decor items and other functional crafts - all from local artists including some familiar names like Slide Sideways and kathyoinspirations. I am so happy to be amongst all these lovely items! 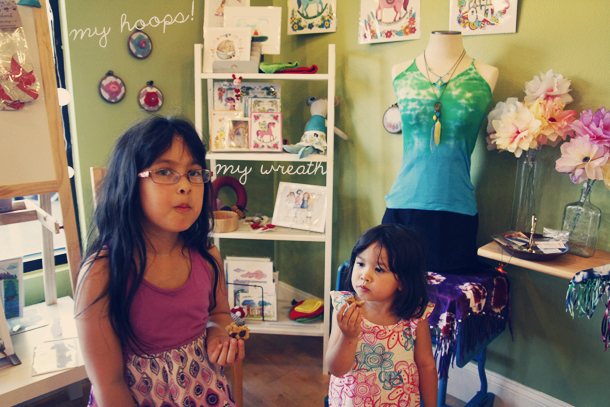 Last weekend, I attended the Grand Opening of the shop with my two cutie patooties. I took a few photos of the display, but was kinda distracted by the girls who kept going back for more yummy cookies. But I have a wreath, some hoop art and felt flowers for sale at the shop. And I plan on bringing more felt flowers next week. So if you're local, I hope you will stop by! This is a big step for my little business. It was one of my goals for this year. I'm so lucky that this shop opened just 15 minutes from me and that I was able to connect with Alison. And I'm tickled that this sweet new store is my first! Thanks Alison!!! Want to know more about So, There? And if you have a handmade shop in the Seattle area, please contact Alison to see if you're a good fit. She is still looking for new artists to feature and she is wonderful to work with! I'm experimenting with some new flower styles this week. These are a combo of my fringe or loopy flowers with the rolled roses layered around them. I'm in love with aquas and teals, but the possible color combinations are pretty endless. These blooms are available here. 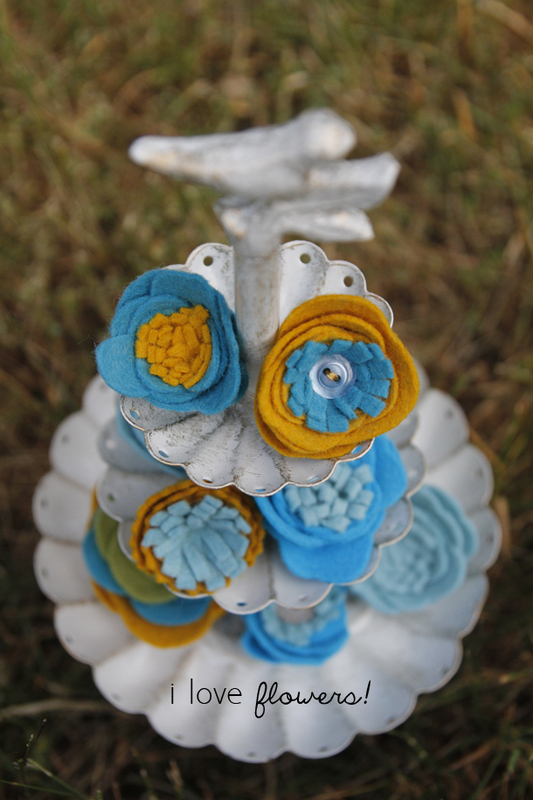 And here's a few more flowers - this time in teal and mustard mixed in. If you're wondering what you would do with these little blooms, think hair clips, headbands, wreaths, clothing and even paper crafts! If you have a little hot glue, these are easy to attach to basically anything. Or if you're handy with a needle and thread -- you can sew them on directly to fabric or to a pin back or brooch pin. What would you do them? oh! 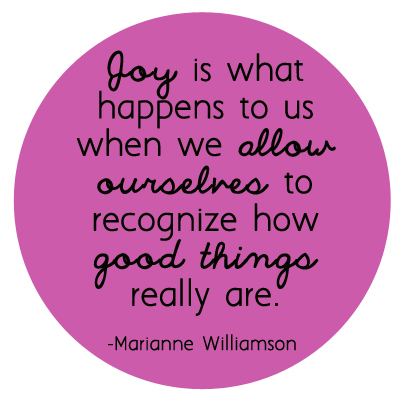 And please check back in the shop often -- I'll be adding new flowers soon! (And if you have a color request, leave me a comment and I'll see what I can do :).